Androis top and best mobile operating sustem with all features that man needs. Android provides this features in the form of apps currently there areare 854548 Android apps in Android Market and out of them 23% are low quality apps! (Source AppBrain as on 7/9/2013). Finding out a best app from such a huge number of apps from Android Market store is really tough a job for any one!We here at All Tech Tricks had decided to review the Apps on Android App market and make your work easy to find out the best apps on Android for Your needs. Here in this article we have covered the Top Best and Free Video Player apps for your Android Mobile and Tabs. This is one of the best Video Player app available on Android Market for Free!. MX Player is completely a featured pack video player that every Android Wishes for.And this is first Video Player to support the Multi-Core Decoding. Easy and Simple User Interference. Kid Locking, which can lock the screen only to the video player, so that Kids can’t access other settings of your Mobile. VPlayer is awesome for those who watch YouTube Videos more, VPlayer is having awesome and simple Graphical User Interference. 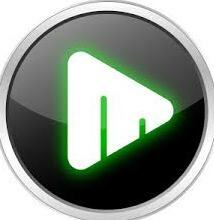 VPlayer Uses Less Battery to play your videos! This is one of the best feature Vplayer. Play YouTube Videos directly from your Vplayer! You can also Use Vplayer to play the Facebook videos too! Can play HD Videos without any Problems! Supports almost all the Popular video Formats. Note: Vplayer is available for only 7 days Trail, You need to Buy Vplayer Unlocker to Use full version of Vplayer. 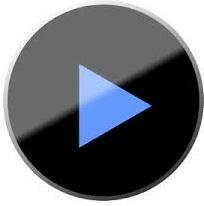 Mobo Player is best video player which can play 90% of the video formats. Supports Multi-audio streams and multi-subtitles. Videos can be streamed through HTTP, RTSP protocols. Easy Video Player is for those who want some privacy on their videos, Yes Easy Video player lets you to have privacy control on your videos. This feature makes the Easy Video Player different from other video players. Great Privacy Control on your Videos. Supports all the popular video formats.